Versailles is a Visual kei band existing since 2007. Its members are: Kamijo(vocal), Hizaki(guitar), Jazmine You(Bass), Teru(Guitar) and Yuki(Drums). 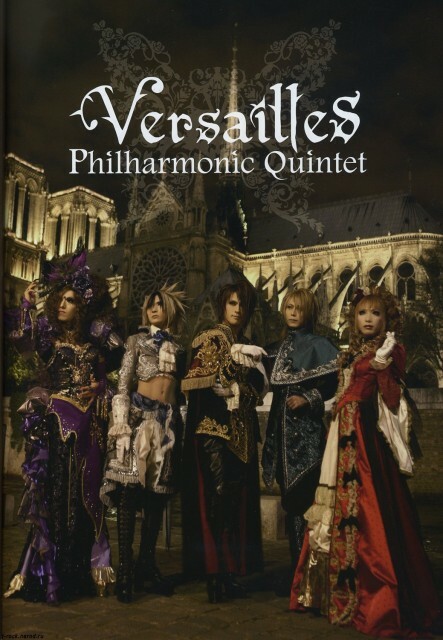 All of them were members of other bands previous to Versailles. Kamijo and Hizaki are maybe the most famous members. CURIOUS TIP: Versailles -Philharmonic Quintet- is the name the band adopted for their tour in USA (because there was another artist under the name Versailles, they were requested to change it). In short time this band has become one of the best in the gender. Besides Japan, they have also performed in USA and Europe. They are still and indy band, but I bet not for longer. muy buena imagen, gracias por compartirla! So A M A Z I N G!